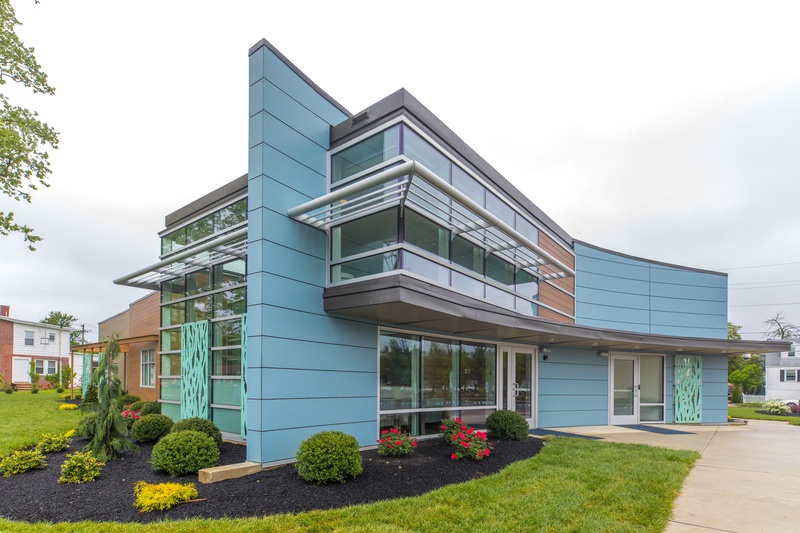 Modular construction is an appealing option for many reasons. Buildings are reusable, transportable, cost and energy efficient. But when determining if modular construction is the ideal option for your project, you might be wondering about it’s capabilities. Can it handle the specific requirements for your project? One of the fascinating things about modular buildings is how completely customizable they are. Modular buildings are built to accommodate various types of businesses – from office spaces and classrooms to military barracks. In this article, we’re going to talk about some various facets of a project that are customizable. Whether you want carpet in your classroom, hardwood flooring in your office, or cork or rubber flooring in your gym, a modular building can accommodate you. Depending on the type of building, some spaces get more use than others. For a low maintenance kitchen, you might choose a solid surface countertop. If you’re on a tighter budget, perhaps laminate. The types of faucets you choose depends on the user. For example, center-set (or two-handle) faucets are great for school facilities with children because of their clearly-separated temperature controls. Other faucets may employ sensor technology for hands-free operations. The lights you choose for your building make a big difference in the ambiance, and even the energy you save. From LED to fluorescent, with modular buildings, everything's an option. One of the benefits of modular buildings is that the construction can happen in a safe and secure environment to prevent theft. Even after the building is complete, modular buildings can accommodate your security concerns. Many commercial buildings need to meet various code requirements for accessibility standards. Modular buildings can include handicap ramps, lifts, and even elevators on multi-story projects. Modular buildings have gained traction in part because of their versatility. When considering a new facility, it’s worth noting that even more complex equipment can be installed in a modular building. You can build labs, fitness centers with equipment, and even medical facilities. Check out the fully custom and FGI compliant Oncology Center build for Inspira Medical Center here.